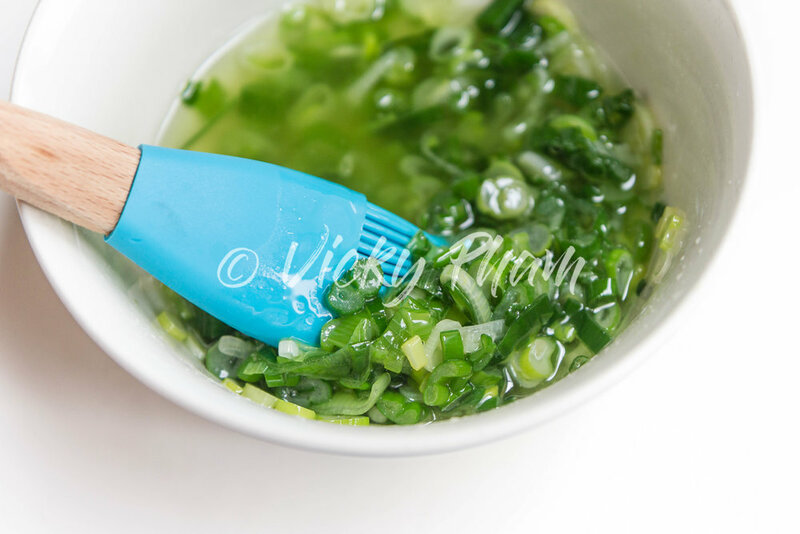 Scallion oil (mo hanh) is a delicious Vietnamese condiment to brush over grilled anything, particularly grilled corn and grilled pork chops. 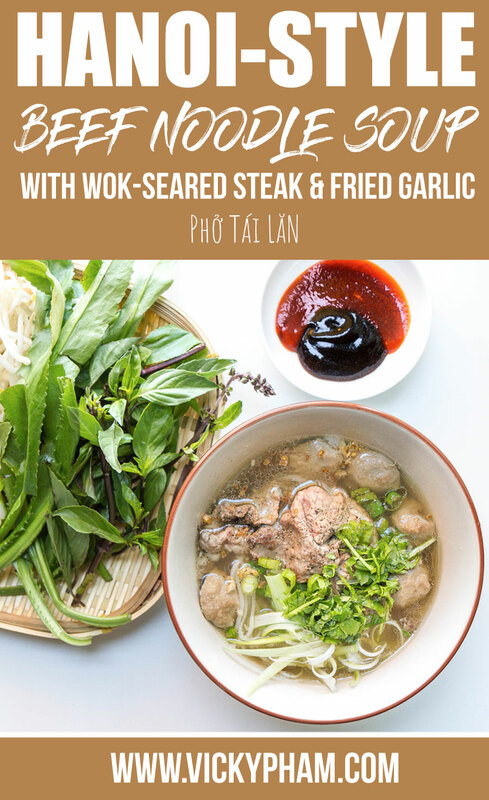 This oil is also delicious lightly brushed over grilled seafood and rice noodles to prevent them from drying out and provide amazing aroma. Lastly, the vibrant green color makes for a beautiful garnish. Just don’t mind the extra calories!